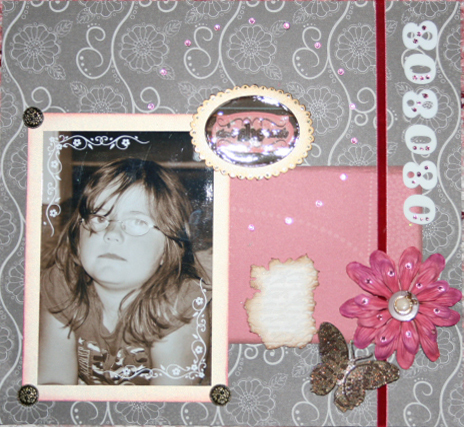 I made this LO for a sketch challenge at Nettans Scrapbooking4You using Crate Paper PP, Bazzill CS, Sizzix Wingo Zingo alphas, Prima flowers, Panduro ribbon and jewels from stash. Other than that some stickles and fluid chalks. I used the date as the title for this! I used Cloud 9 PP and a pearlized paper as photo mat and under the sticker, Bo Bunny rub-ons on the photo, a Cuttlebug embossed butterfly, Prima flowers (from the mini-can), 3Bugs stickers, Panduro brass brads and to this jewels, fluid chalks, stickles. 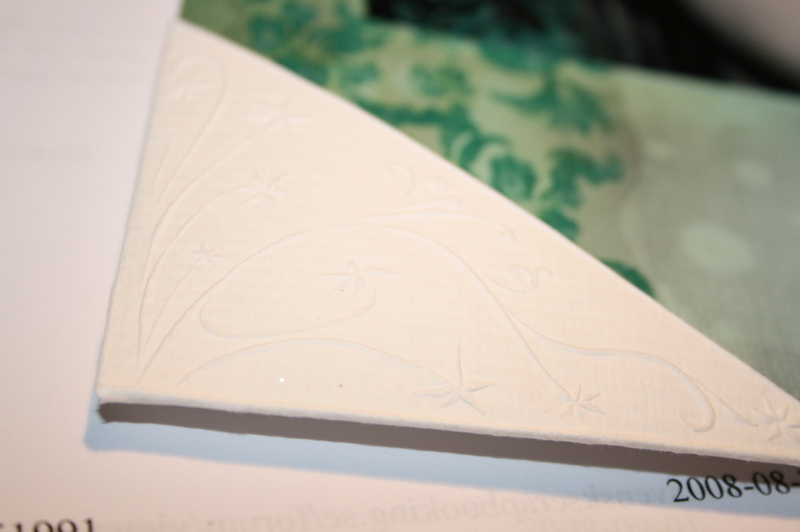 The small white decoration is made from FIMO polymer clay with inked edges. 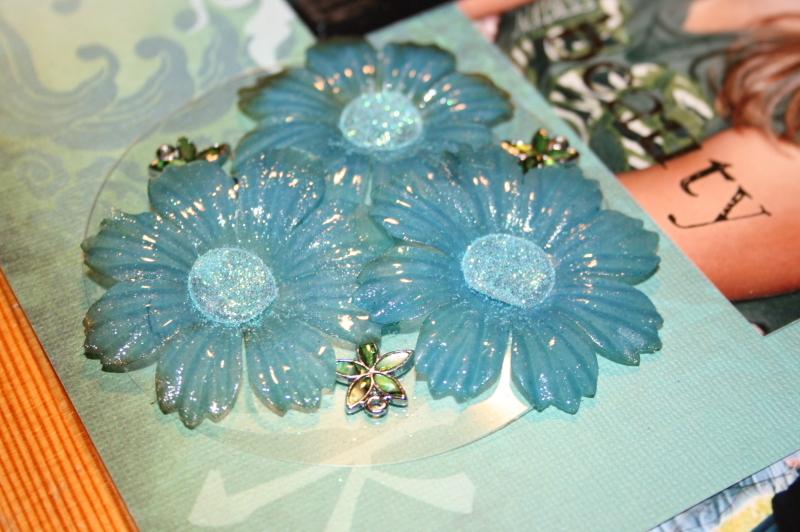 I found the PP and brads at a Panduro sale, the Prima flowers and Bo Bunny rub-ons at Nettans Scrapbooking4You, Cuttlebug die and 3Bugs stickers at KT Crafts and the FIMO decoration is totally home-made. We had an extended family gathering at the end of August, these are the “boys” chatting after having coffee. 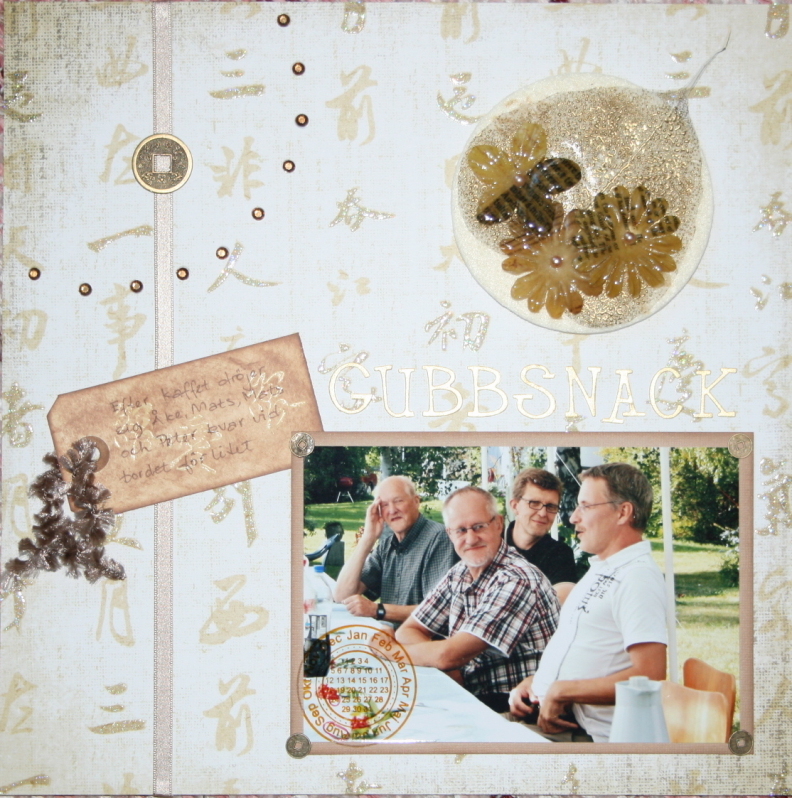 What I used: Best Creations Oriental PP, the photo is matted on Bazzill CS and has a Inkido calendar stamp on it using Staz-On, a manilla tag for the journaling, I also heat embossed a chinese sign with clear EP over this and then added some fluid chalks, some “chinese coins” on the photo and on the ribbon. 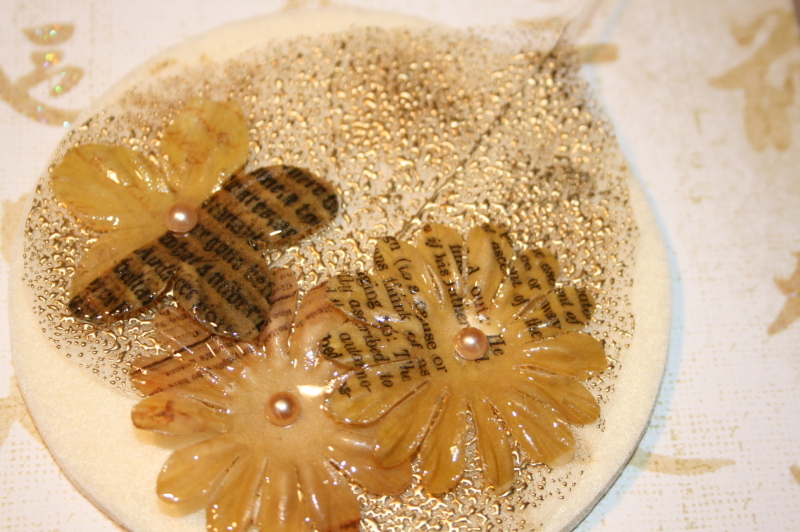 The flower arrangement is created using a skeleton leaf, heat embossed with UTEE Gold, the Prima flowers are dipped in melted UTEE, mounted on a felt disc, and I also added Kaiser Pearls as flower centers. The alphas are Sizzix Wingo Zingo – my new favorite alphas! To this, some fluid chalks, 3D-lacquer, ribbons and fibers and jewels from stash. The lovely paper, Inkido calendar stamp and Kaiser Pearls can be found at Nettans Scrapbooking4You, while I found the Prima flowers at KT Crafts, where you can also find the UTEE in several colors. The remaining supplies comes from my stash. American Football – Kitchen Series! 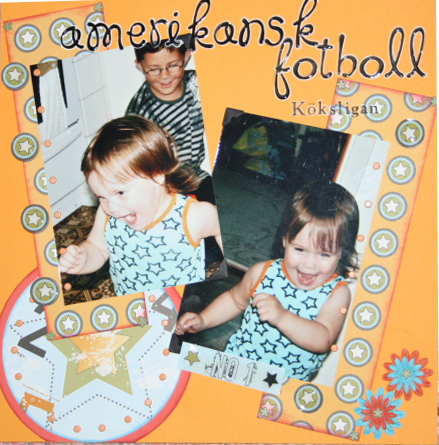 When developing these pictures it seemed to me like she was playing American Football! 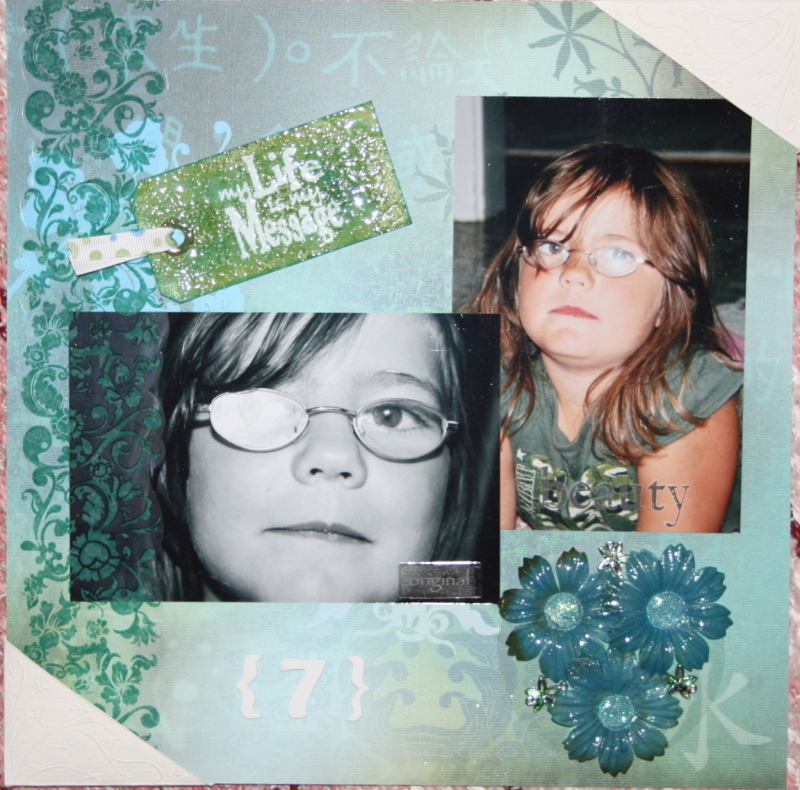 Supplies: CS: DCWV, PP: Urban Lily, flowers: Prima, brads: MM, alphas: Doodlebug Loopy Lou and Mrs Grossmans. I got these lovely pictures of Lorelai the other day! Ain’t she sweet? 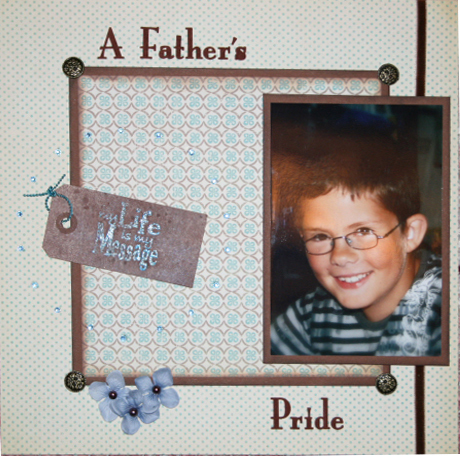 … and a Fathers pride! 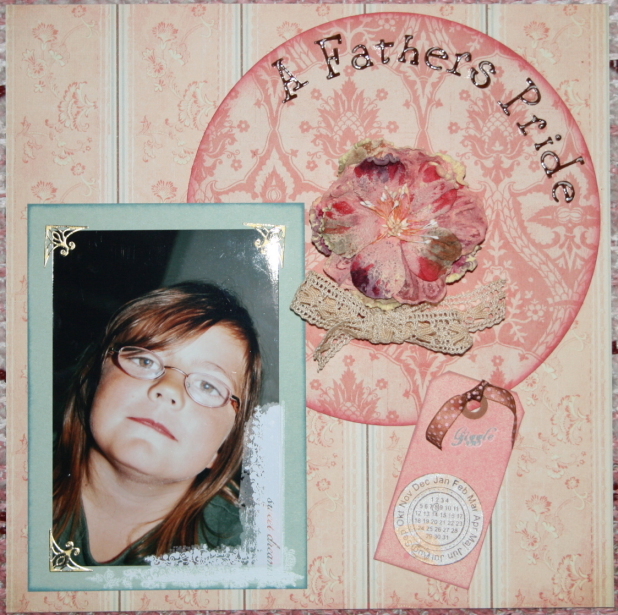 CS: Bazzill, PP: MME, alphas: Prima Whispered Words, brads: Panduro, Flowers: Prima, stamp: Daisy Bucket, manila tag, Fluid Chalks, embossing powder, UTEE, ribbons and jewels from stash. 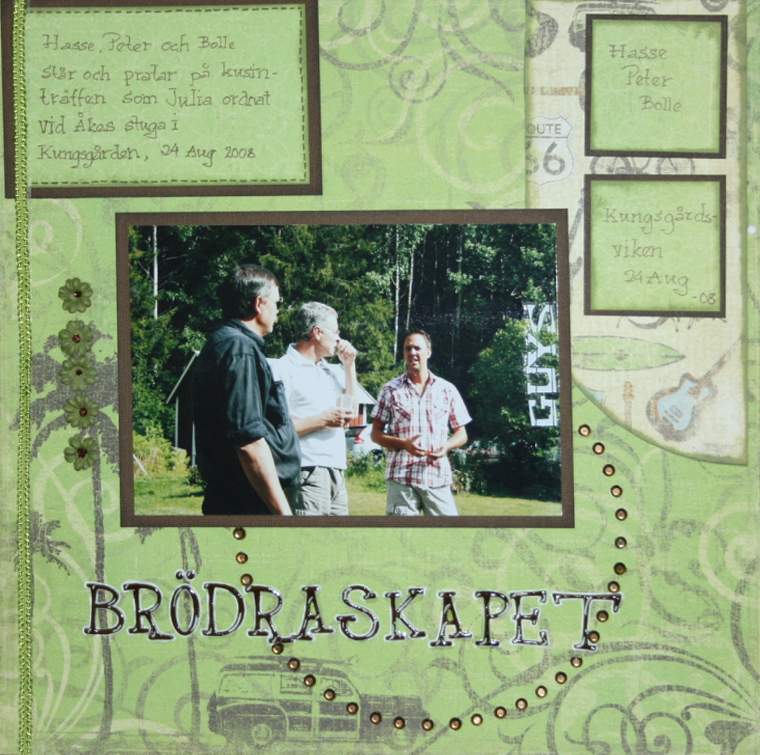 PP: MME, calendar stamp: Inkido, rub-ons: Fancy Pants, Photo Corners: Decorstix, alphas: Sizzix Wingo Zingo, flower: Prima, manila tag, lace and ribbon from stash.